The VersaPost functions as a gate post without any modifications There is no need to double the post as with some other steel posts. 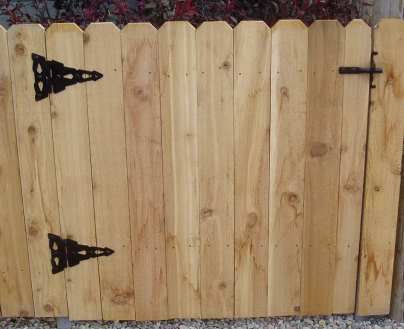 Build your own gate or purchase a gate kit. 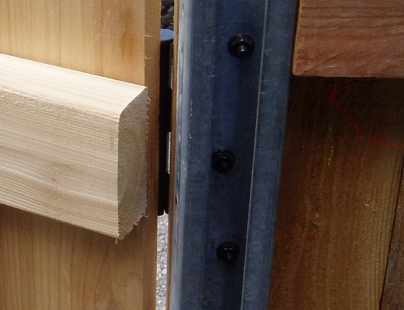 Depending on the style attach the hinges directly to the post or stringers. The hinges can be installed using self-drilling screws or bolts. J-bolt hinges and flat-back plate hinges can also be used. 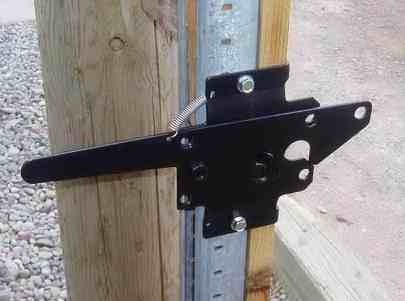 The latch is attached directly to the post. The latch can be attached using self-drilling screws or bolts. 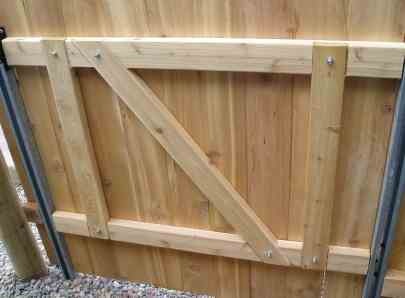 A wood gate makes a great addition to any fence.